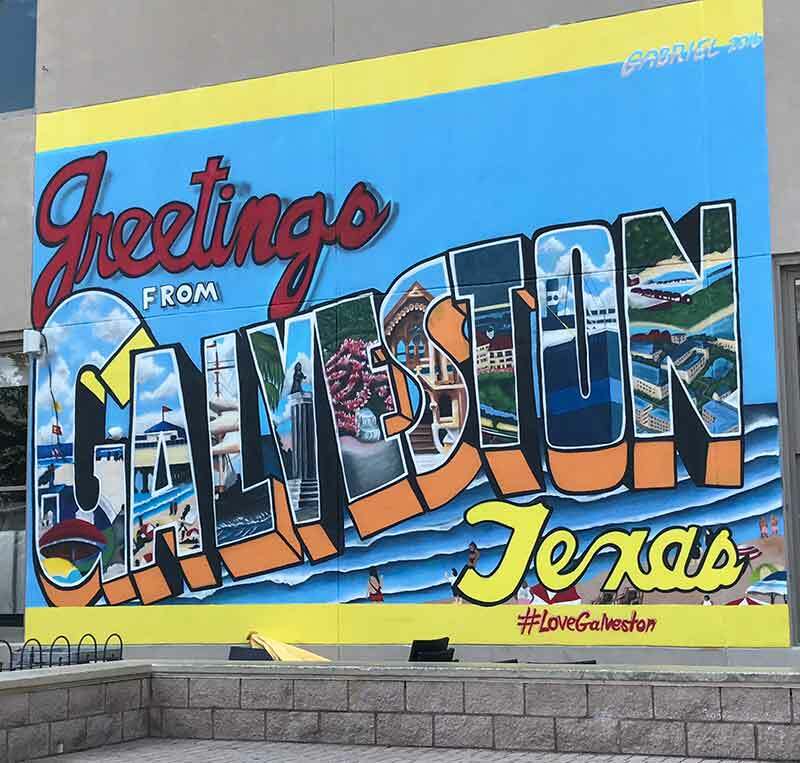 My first trip to Galveston came less than a month after the flooding and devastation left in the wake of Hurricane Harvey, which made a direct hit nearly 200 miles south at Rockport, Texas. After the winds died down and Harvey was downgraded to a tropical storm, Houston, 50 miles north of the coast, experienced the worst of the torrential rains and flooding while Galveston Island and the surrounding area was largely spared… this time. But Galveston is no stranger to hurricanes. 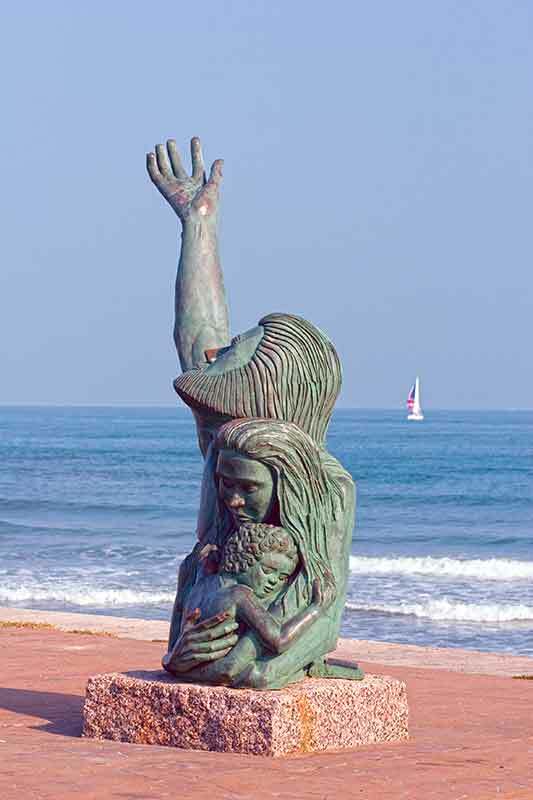 Until September 8, 1900, when this coastal city was the site of the worst natural disaster in the history of the U.S., Galveston was a thriving, socially progressive, culturally diverse community of 38,000 residents, including some of the wealthiest people in the country. Known as “The Great Storm,” the hurricane that hit its shores caused a 15-foot storm surge that flooded large areas and almost completely destroyed the city. At least 6,000 of its 38,000 residents died. But over the next decade, the city was rebuilt, including a 10-foot seawall that covers ten miles of its seashore, and reconstruction efforts that raised the ground level as much as 17 feet. If you’re interested in learning more, make sure to visit the Great Storm Theater at Pier 21 to view a movie about it. You may also wish to pick up a fascinating read by Erik Larson, Isaac’s Storm : A Man, a Time, and the Deadliest Hurricane in History . One hundred eight years later – September 13, 2008 – another devastating storm, Hurricane Ike, hit Galveston, again bringing storm surge, flooding and the need for reconstruction. But this time, the area was spared the worst of its wrath. I was invited to experience a sampling of Galveston’s treasures first-hand, just weeks after Hurricane Harvey, to take in highlights of this coastal Texas gem. 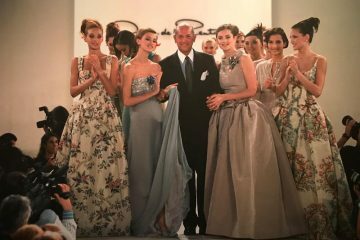 I was comfortably based at the sprawling, 242-acre Moody Gardens resort complex overlooking Galveston Bay, named for one of Galveston’s wealthiest benefactors, W.L. Moody. The view from my Junior Suite at Moody Gardens, a 428-room hotel that completed a $25 million renovation in 2014, was delightfully unexpected. Three large glass pyramid structures dominate the horizon a short distance away. 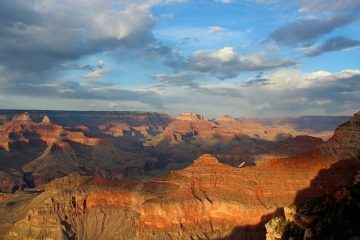 I was able to explore two of them the following day. Inside the turquoise pyramid is a 1.5 million gallon, ten-story aquarium containing ocean life from the Atlantic, Pacific and Caribbean. Next to it is a clear glass windowed rainforest pyramid. 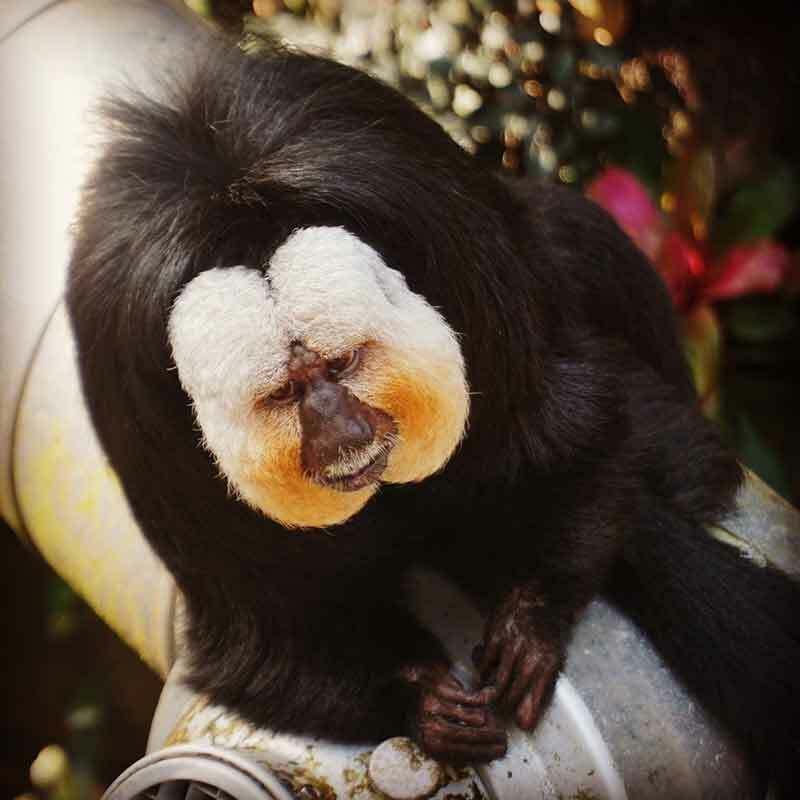 Replicating the rainforests of Asia, Africa and the Americas, it’s home to Saki monkeys, Amazon River otters, an array of colorful tropical birds and rare plants and trees. 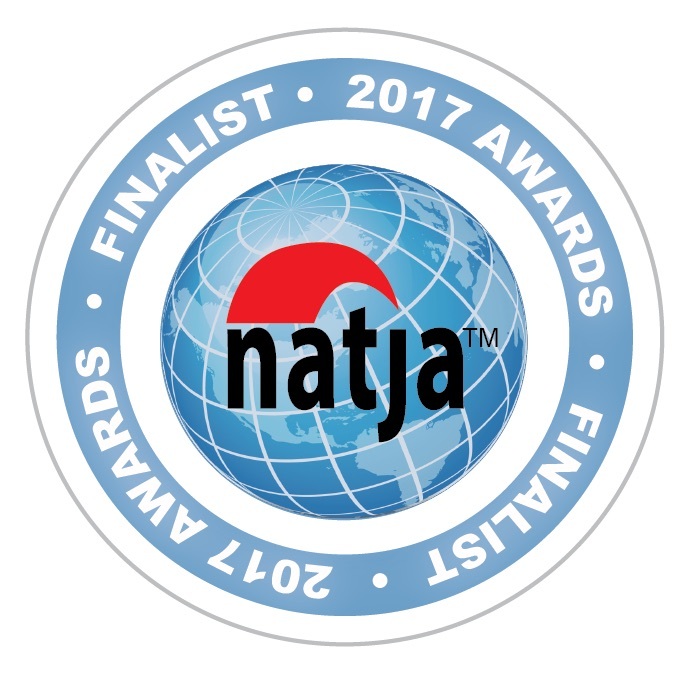 A third discovery pyramid houses special exhibits, a 3D theater and a SpongeBob SubPants Adventure, ideal if you’re traveling with children or grandchildren. 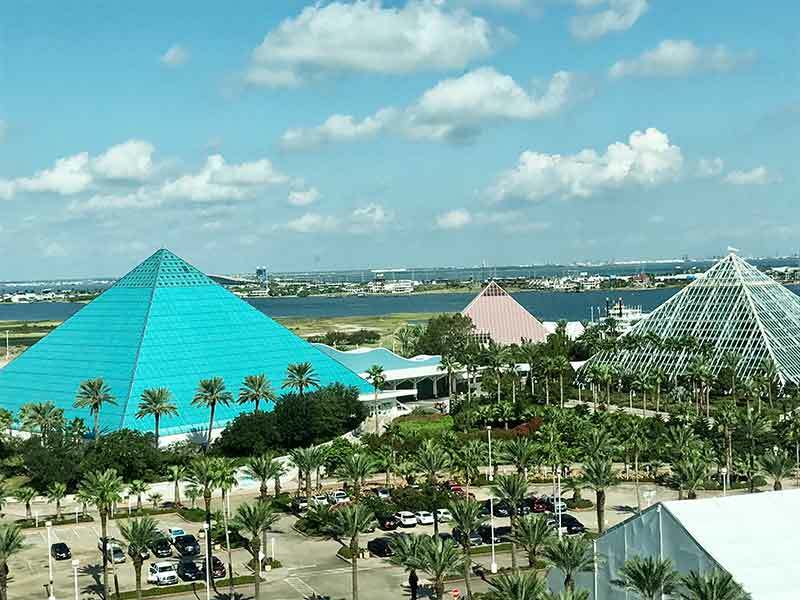 The complex also includes Palm Beach, a white-sand, blue-lagoon entertainment center and waterpark, an 800-person-capacity Colonel Paddlewheel boat (offering daily cruises on Offats Bayou), a five-tier ropes course and zip line, and the Moody Gardens 18-hole golf course. 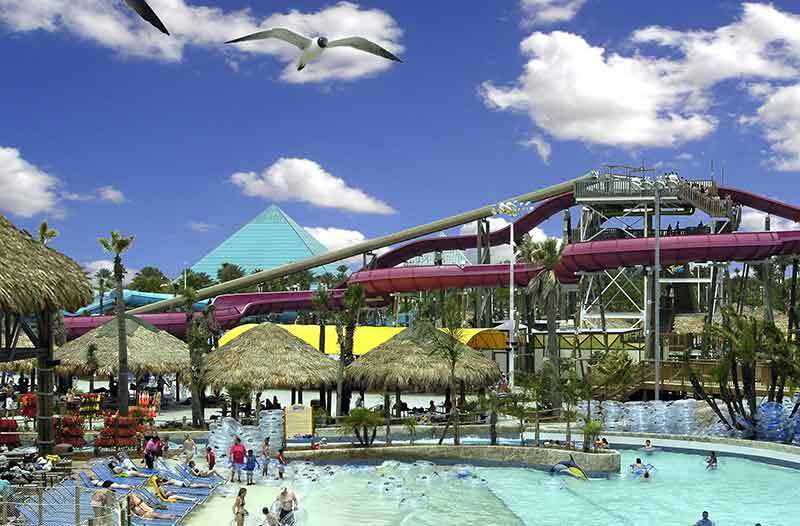 And if those entertainment possibilities aren’t enough, within walking distance of Moody Gardens Hotel is Schlitterbahn Waterpark, featuring the world’s tallest water coaster. 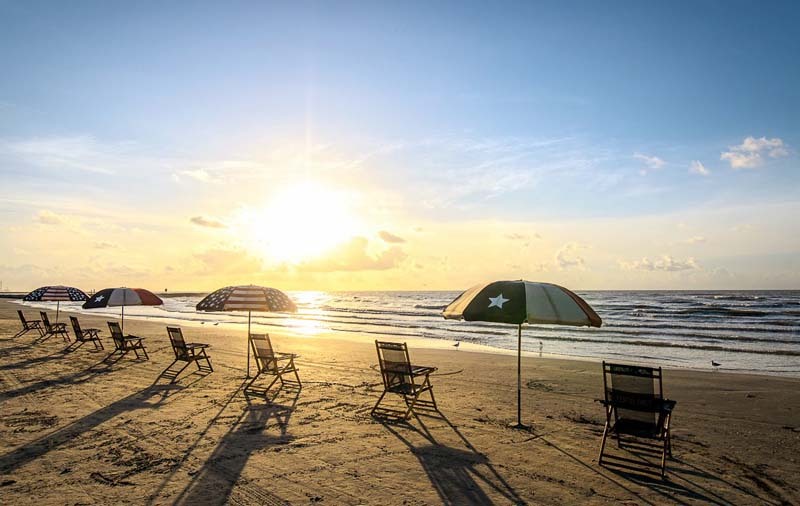 The choices of where to stay on Galveston Island run the gamut from luxury resort complexes to historic hotels and budget-friendly accommodations. Bed-and-breakfasts housed in Victorian homes, private beach homes and several RV parks are available, too, to fit the style and needs of just about anyone arriving to explore this historic barrier island. 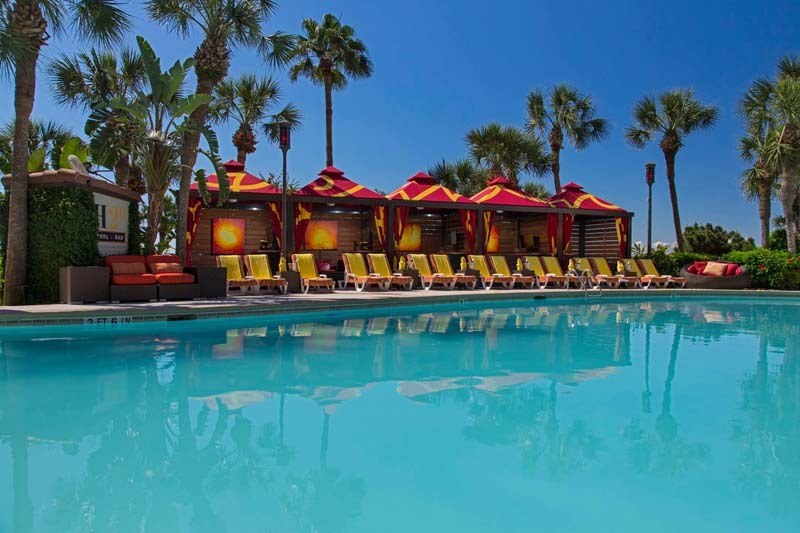 If you’d like to stay at a property just steps away from Galveston Beach, consider The San Luis Resort, Spa & Conference Center, a 30-acre beachfront hotel and spa resort complex owned and operated by Landry’s. The 250-room San Luis Hotel, with private balconies overlooking the Gulf of Mexico and a swim-up pool bar with private cabanas, is its signature property. Several other hotels, including the Hilton Galveston Island Resort, Holiday Inn Resort on the Beach, and the 100-unit San Luis Condominiums are a part of the complex as well. Guests can select from 10 restaurants ranging from special occasion dining to family-friendly eateries. Feel like splurging for a special occasion? Book a stay at one of five 800-square-foot Villa suites in a separate area of the San Luis Hotel property, popular with those seeking privacy and pampering. 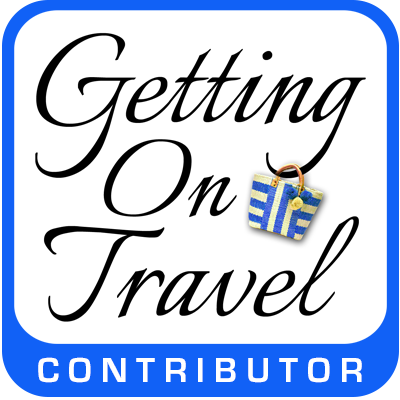 Things to do in Galveston Island? Plenty! 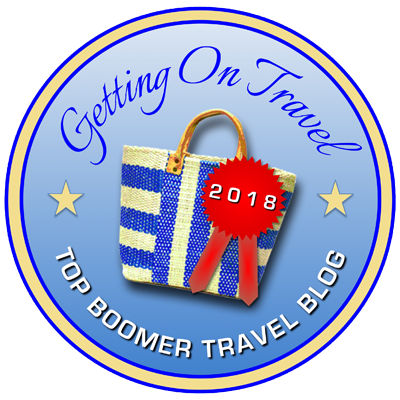 Even if you never touch your toes in the sand fronting the 32 miles of Galveston Island’s beaches, you’ll find plenty to do, according to the interests and ages of your travel companions. 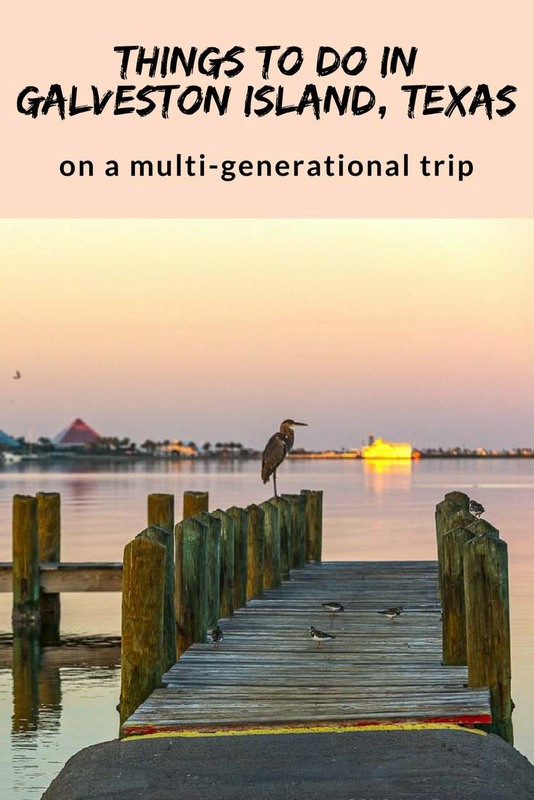 Galveston Island is a multi-generational gem, with more to offer the younger generation than many other beach-focused destinations. 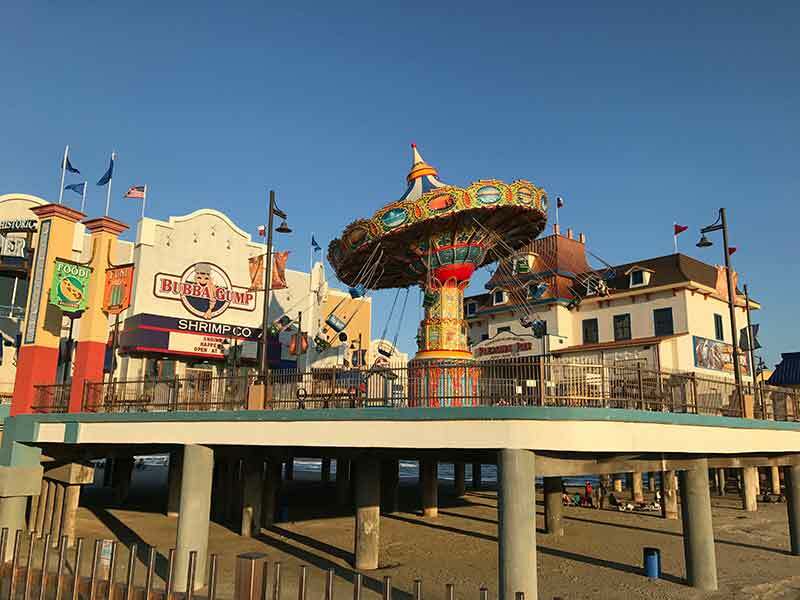 You don’t have to be a kid to enjoy the Galveston Island historic Pleasure Pier amusement park. I loved watching the sun set over the Gulf from atop the 100-foot-high ferris wheel. Put this at the top of your list of things to do in Galveston if you’re traveling with younger family members! The original Pleasure Pier opened in 1943 and operated for 18 years until its destruction by Hurricane Carla. It was then the site of a hotel from 1965 until 2008 when it, too, was a casualty of Hurricane Ike. The iconic symbol of the Galveston beachfront claims its 200-foot-tall swing ride (one of 16 on the pier) is the highest ride in Texas. Galveston’s historic district, known as The Strand, is five blocks long and filled with shops, art galleries, restaurants and nightclubs. If you or your travel companions have an interest in trains, check out the Galveston Railroad Museum at the corner of 25th Street and The Strand. Then browse the shops and stop for an ice cream at LaKing’s Confectionary. Next, take a self-guided tour of The Grand 1894 Opera House, on the National Register of Historic Places, which has hosted a long list of top-name entertainers, including Glenn Campbell who performed here during his farewell tour in July, 2012. 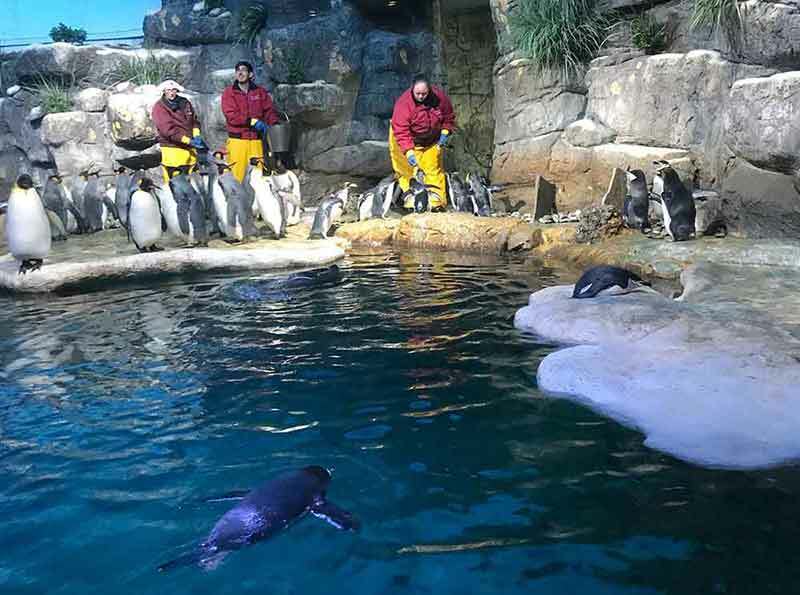 Don’t miss visiting Pier 21, even if you stay near the beach. 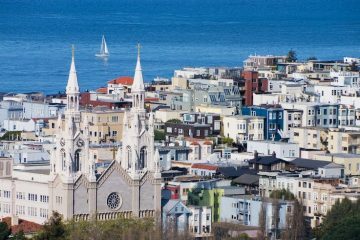 It has several great dining options and is an easy walk from downtown’s Strand historic district. 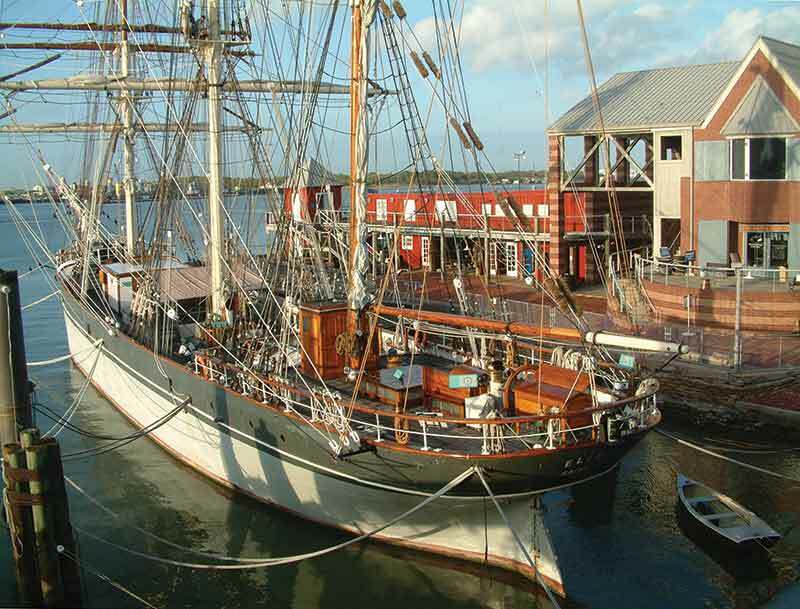 Tour the Texas Seaport Museum, where you can walk the decks of the 1877 tall ship Elissa and then search for ancestors who entered the U.S. here in the museum’s computer database. Galveston was second only to Ellis Island in New York as a point of entry for over 133,000 immigrants from all over the world, including a large Jewish population. While you’re there, take a one-hour harbor and dolphin watch tour aboard the Seagull II, or walk through a retired drilling rig and learn about the offshore industry at the Ocean Star Offshore Drilling Rig and Museum. 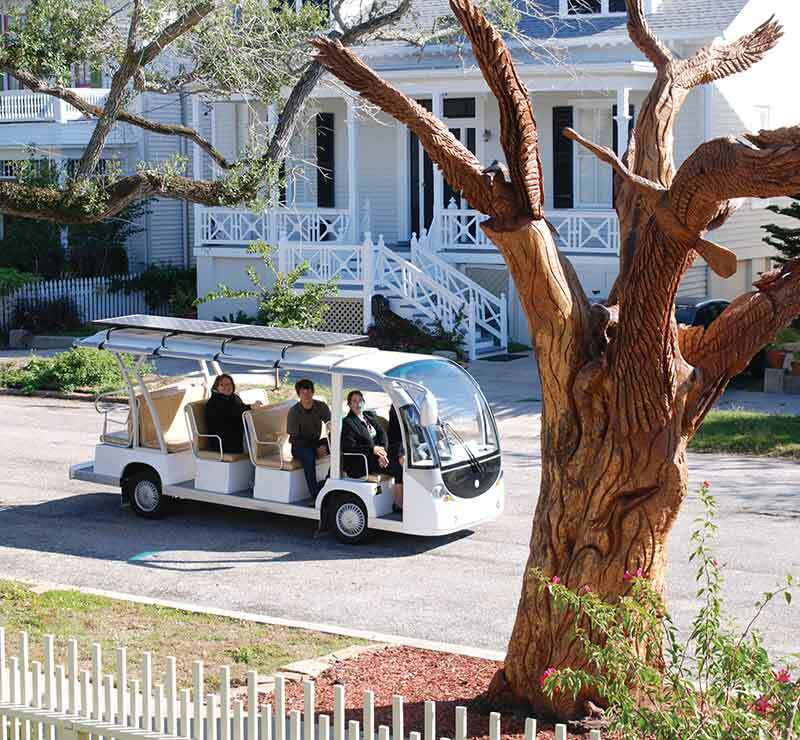 Also on the list of the best things to do in Galveston is the Galveston Historic Tour of the East End Historic District, which leaves from the Galveston Island Visitor Center. 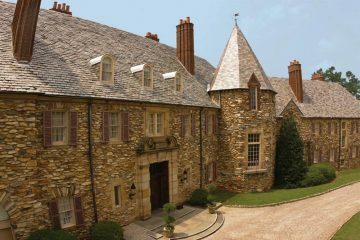 The hour-long narrated van tour gives you an overview of the area, including the largest collection of Victorian homes in the state of Texas, museums, mansions and some of the 60-plus tree carvings, which have become a unique tourist attraction. 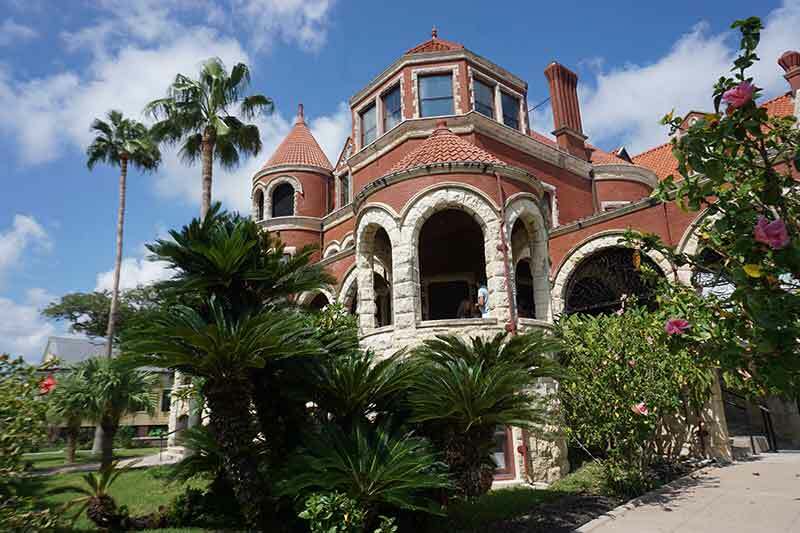 For additional insight into the history of Galveston, visit the 28,000 square-foot Moody Mansion, home of one of Texas’ most powerful families. Its financial empire has greatly impacted present-day Galveston and the state of Texas through the Moody Foundation. One of the world’s largest collections of historical artifacts, documents, and artwork relating to Texas and the American West has been assembled in The Bryan Museum, located in the former Galveston Orphans Home. Olympia Grill: On our first evening, we savored seafood specialties and authentic Greek dishes on the patio of Olympia Grill, owned by first-generation Greek Americans, overlooking Galveston harbor at Pier 21. Rudy & Paco: Celebrity photos cover a wall inside the entrance of Rudy & Paco, located next door to the 1894 Grand Opera House in downtown Galveston. Reservations are a must for dinner-and-a-show outings. Gaido’s: This place has been a favorite on Seawall Blvd. since 1911. Go there for a wide variety of fresh-caught Gulf seafood. I tried tilefish, topped with lump crab, a deepwater fish with a delicate sweet flavor similar to lobster. Hotel Galvez: We fit in a long-standing island tradition before heading to the airport – Sunday brunch (#1 in the Houston area by OpenTable) at the historic Hotel Galvez, which has been in continuous operation since 1911. 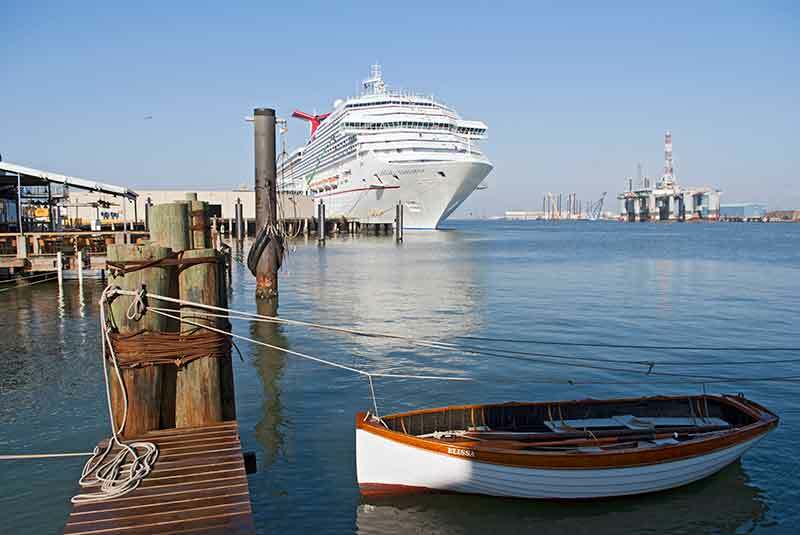 In 2016, more than 850,000 visitors to Galveston Island boarded cruise ships at the Port of Galveston, fourth largest cruise port in the U.S., a number that is expected to increase by 10% this year. 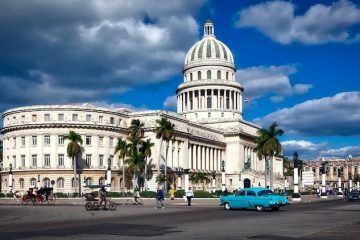 Cruise ships from Carnival and Royal Caribbean depart year-round while Disney departs seasonally from one of two cruise terminals. With a one-night stay before a cruise, many Galveston Island hotels offer complimentary parking as well as a free shuttle to the port. Or, stay at the Harbor House hotel, the only accommodation on the marina at Pier 21, and you’ll be within walking distance of the cruise ship terminal. Galveston’s storied past, from mansions and Victorian homes to its survivor spirit, make it much more than a beach destination. 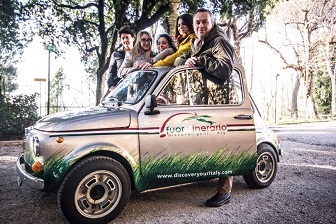 Luxury-level accommodation choices can be found, along with family-friendly ones for multi-generational trips. Beachfront hotels that line a 10-mile stretch of Seawall Boulevard have beach access across the street but aren’t located toes-in-the-sand. 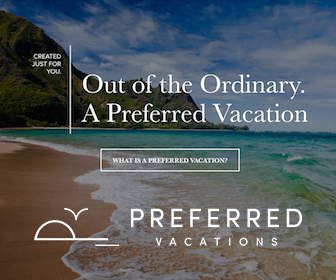 To have that experience, book a beach home or condo on either end of the island. 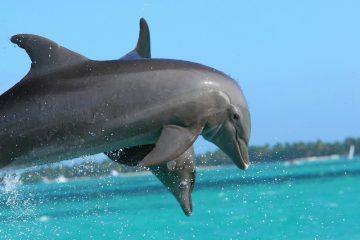 Visit Galveston.com, the official website of Galveston Island, Texas Tourism & Marketing. 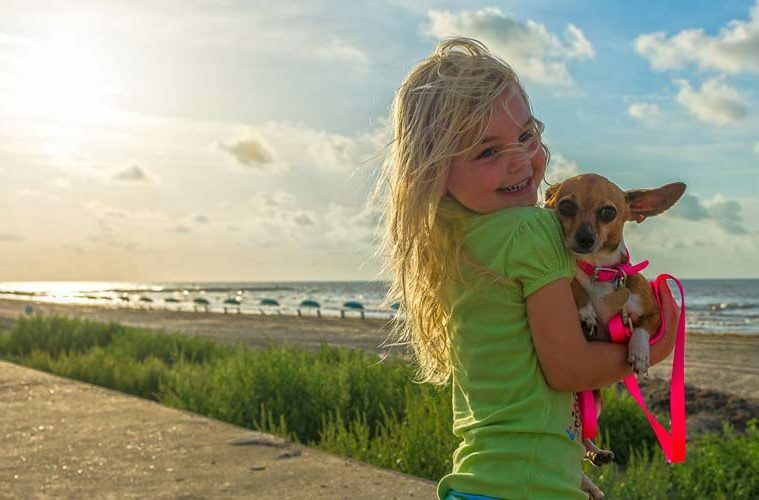 Save up to 40% off area attractions with the Galveston Island Pass. Fly into one of two Houston airports, George Bush Intercontinental (IAH) or William P. Hobby (HOU), then drive southeast on U.S. Hwy. 45 to Galveston Island. The author’s visit was hosted by Galveston Island, Texas Tourism & Marketing.